Inky Fairy Designs: Robin's Nest & Helmar Blog Hop! Hi, I'm Carisa and I'm a Helmar designer! We are THRILLED to be partnering with Robin's Nest for this fun Blog Hop. The start of this hop begins at the Robin's Nest Blog so if you are just seeing my blog, please be sure to head over there to start - you're not going to miss a blog as we EACH have a special prize to give away. Leave a comment on my blog for a chance to win a $10 gift certificate to shop at Helmar! Now, if you've arrived from Marilla's Blog you are in the right spot. For my project, I wanted to create one of a kind embellishments for my page so I used the Large Clear Drops by Robin's Nest plus Helmar 450 Quick Dry Adhesive to adhere my pattern paper to coordinate with my page. Then just cut them out with scissors. Easy peasy! And my page which I also used Helmar Premium Craft Glue and more Robin's Nest goodies. The rhinestones around my oval journal card is Robin's Nest from an awesome netted rhinestone ribbon that I cut apart. I created this page for my 30 days of Gratitude journal. This idea begins every November on Facebook and I decided to take out one of my Amy Tangerine Day Books to get a little creative & crafty with it this year. I'm looking forward to completing each page every day! What a fun journal! I love all the fun details you've added! I love that frame around the 1. Great Design! Terrific use of the big clear drops Carisa! Very cool!!! Fab page - LOVE your rhinestone framing and cute Clear Drops!!! love the clear drops. so very clear! I love this idea!! Great job!! I love those cool drops!! It is a great way to make what is under it Pop!! Great way to embellish with Dew Drops!!! love the your journal. Great HOP! What a great project and use of the clear drops! Making my own dot embellishments is the highlight of this blog hop for me. Yours are great. I've used clear dots to emphasize designs, of course, but never thought to cut them out to stand alone. Great tip! I love what you did with the large Robin's Nest dew drops and how you incorporated them into your journal page. Very clever! great job on your journal. Love the embellishments you made for it. These are adorable. Love how you created them. great ideal for a journal. nicely embellished. Customized page pebbles?!? Yes please - these are awesome! Love this embellishment idea, so many fun ideas to use these with. OH I love making embellishments and these are just perfect, thank you, love your layout. such a fun project!! I made these years ago with my kids' pictures in them...that was fun too! I love how you used the clear drops...great idea with the journal. Gets me thinking they'd make great magnets, too! 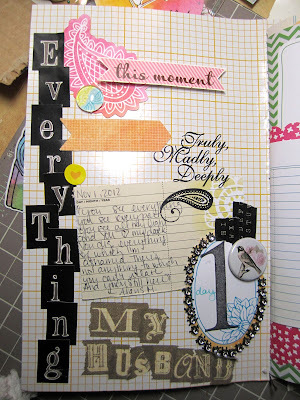 Great page and I love those little embellishments you created! I love those cool drops!! Wonderful embellishments!!! LOVE THEM!!! Great inspiration! 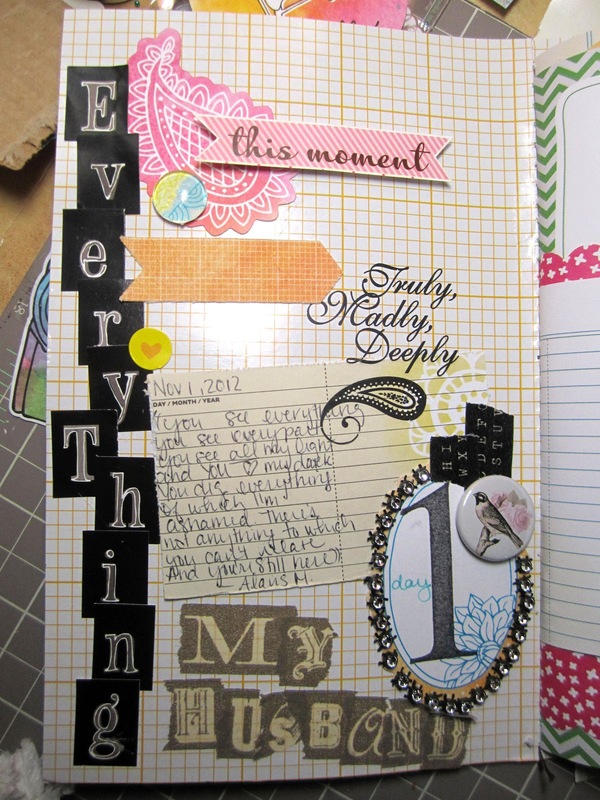 Great page for your journal--I like the embellishments you made. What a nice tribute page for your DH, love the big dewdrops adhered to paper, they look so great. Thanks for sharing. What a beautiful journal page! I love the embellishments you created!! Thanks for the inspiration! That is an outstanding idea of how to make custom embellishments. I am definitely going to try that one. Great ideas in your project. TFS. I am such a sucker for this type of project. Very nice... love looking at it. Both the drops and your page are awesome.